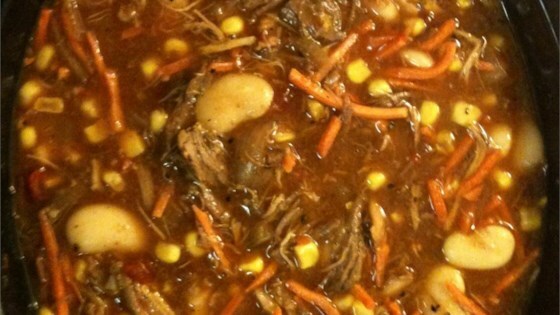 "This is the most authentic version of Brunswick stew I have had the pleasure of making and tasting!" This stew wasn't very impressive, it seemed too sweet and not very tasty, my husband didn't like it at all. I will not make this again. I agree that it is very close to the original. Used shredded pork also, instead of the ribs.